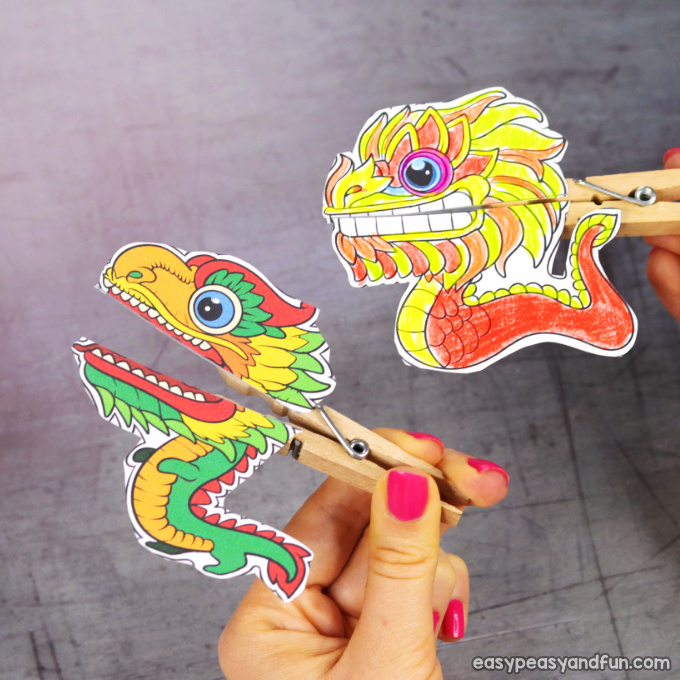 Oh what fun will your kids have with these Chinese Dragon Clothespin Puppets, a perfect little paper toy if you celebrate or appreciate Chinese new year celebration. 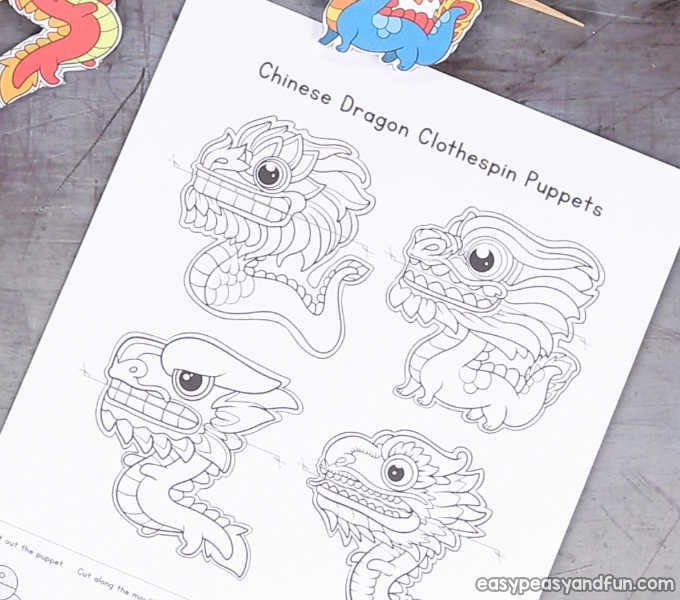 With 4 different printable dragon puppet designs (both in full color and black and white for kids to color) you can be sure they will have a blast. 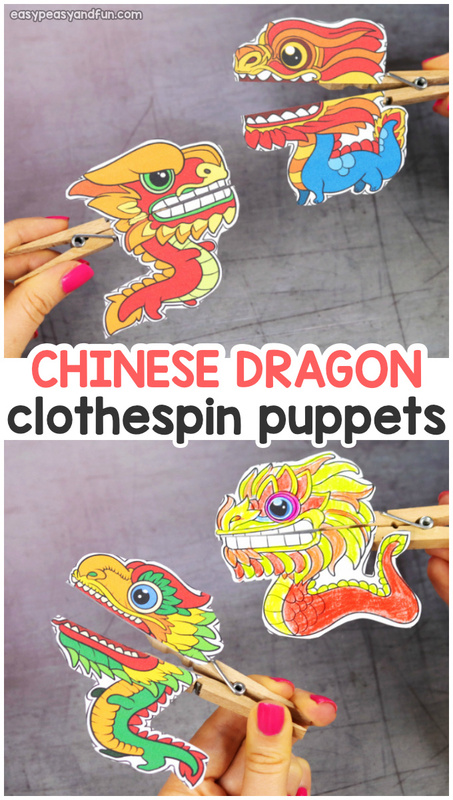 These clothespin puppets are so much fun and these Chinese dragons can even play with our dinosaur clothespin puppets. 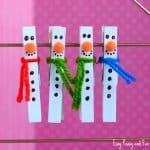 They make a great little afternoon activity, or a quick project to make with the kids in the classroom. 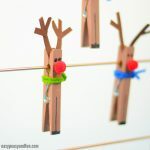 They also make great party favors, so they are perfect if you are hosting a little party for the kids. Just look at this guy in action! 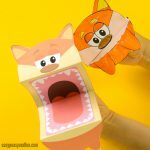 And with his or her mouth open. 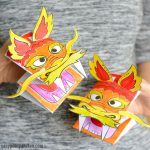 Print out the Chinese new year activity sheet. 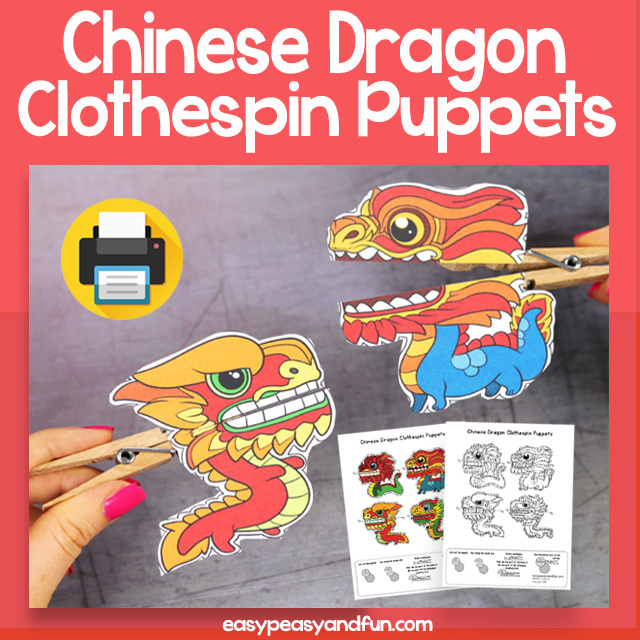 We strongly recommend you print it on cardstock, or at laminate the puppet parts (once you’ve cut them). 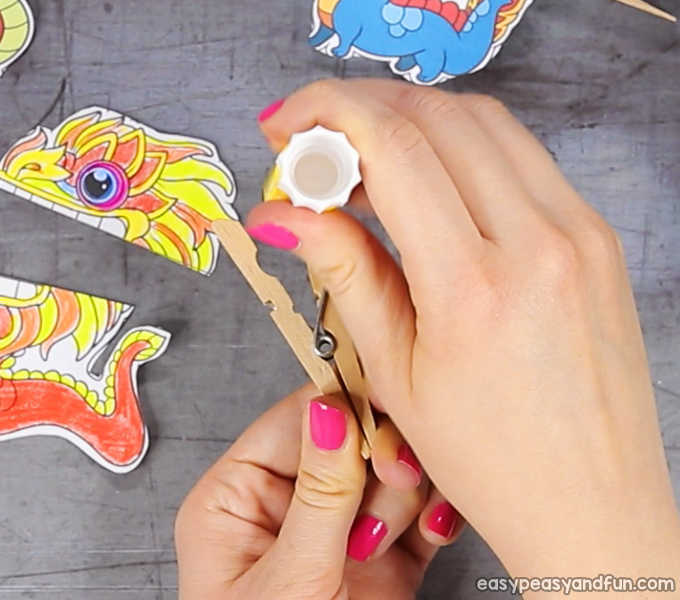 If you will be laminating the puppet parts, a glue gun (adults only) or glue dots are recommended instead of regular school glue. 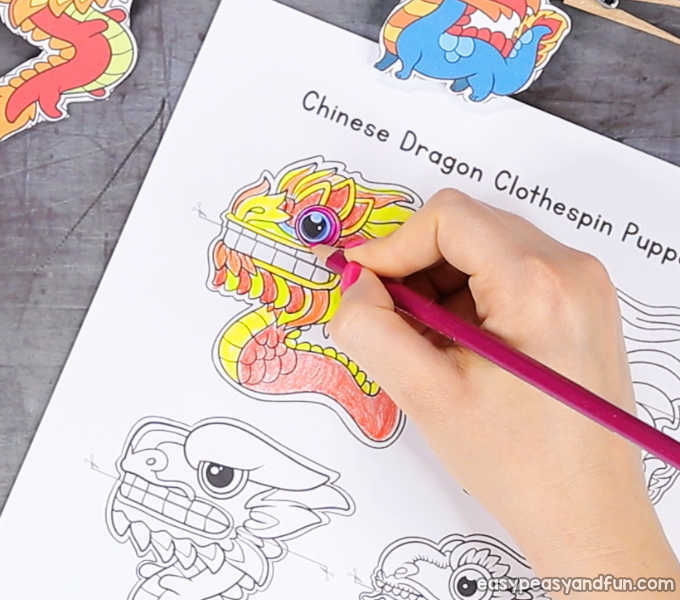 If you printed the black and white version, have the kids first color in the Chinese dragons. 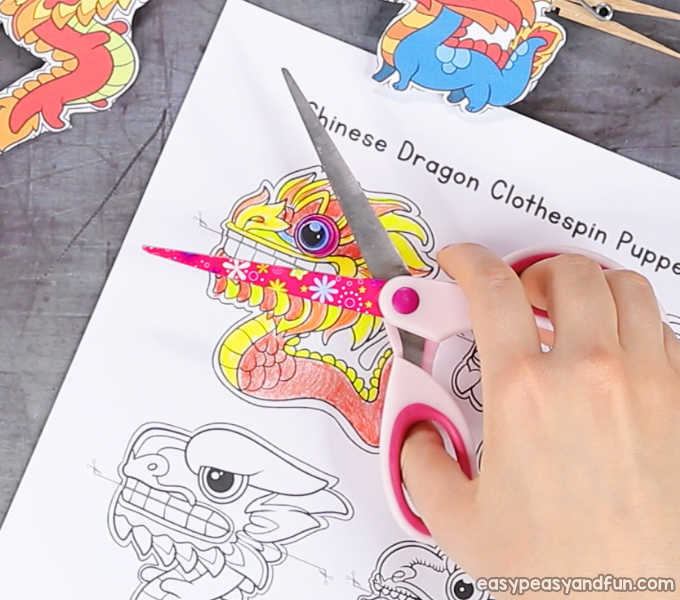 Once they have colored their dragons, have them cut out their puppets. 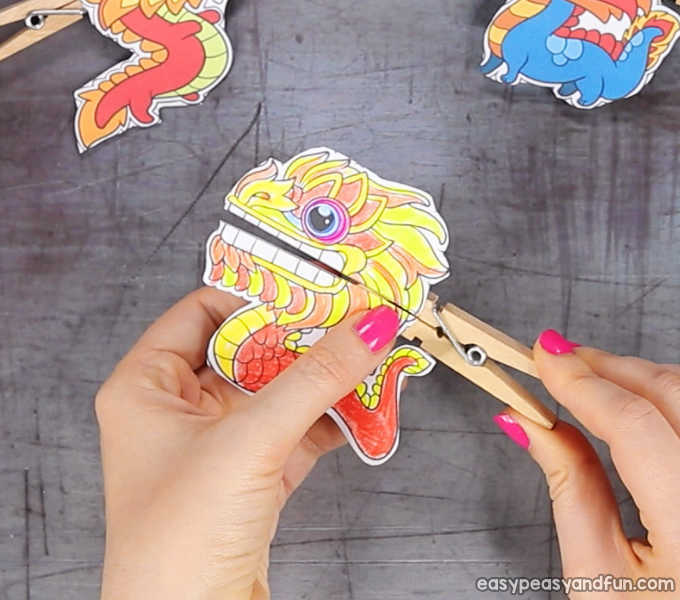 Once they have cut out the puppet, they will also need to cut along the mouth line. 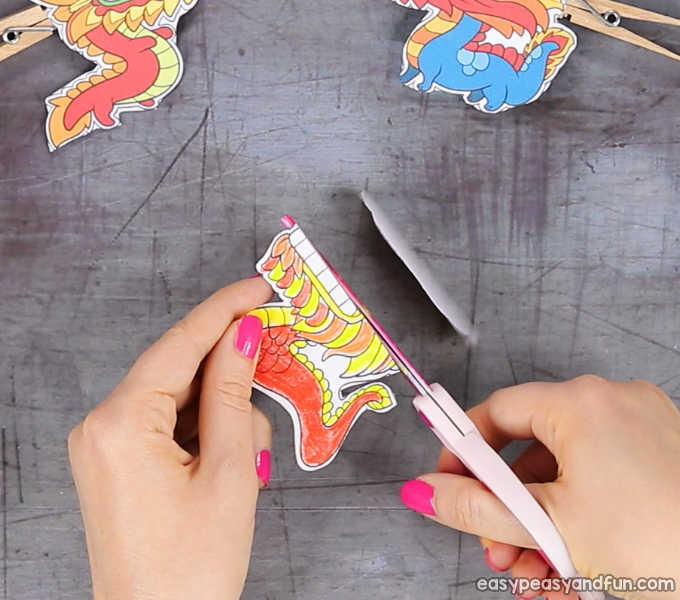 Apply glue on the gripping area of the clothespin. 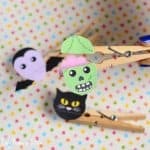 If working with wooden clothespins and paper, regular stick glue will do a great job. 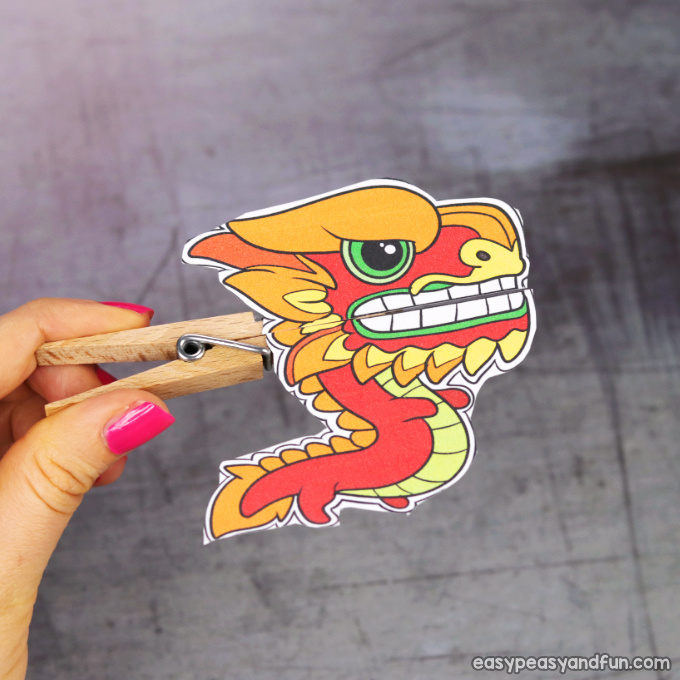 Stick the top part of the Chinese dragon’s body on the top part of the gripping area of the clothespin and the body to the bottom one. Make sure they are nicely aligned. 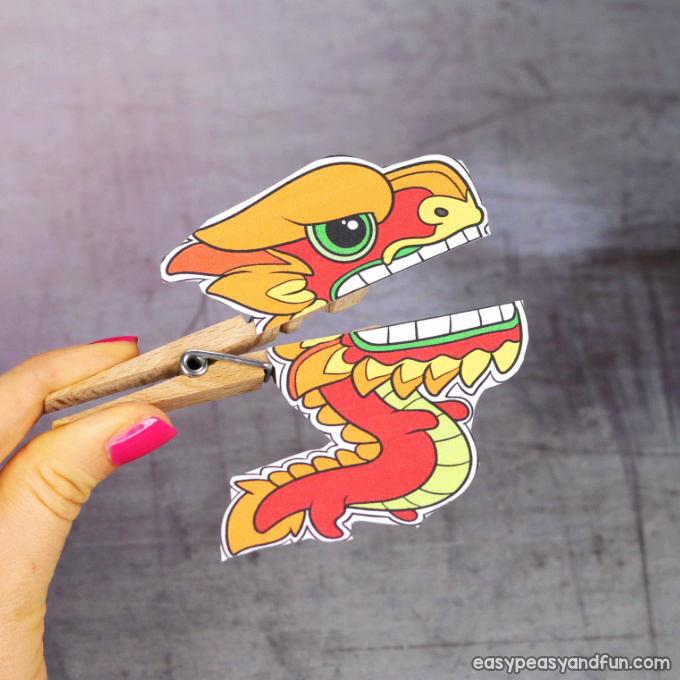 Also be careful not to glue the clothespin shut ;). All done! 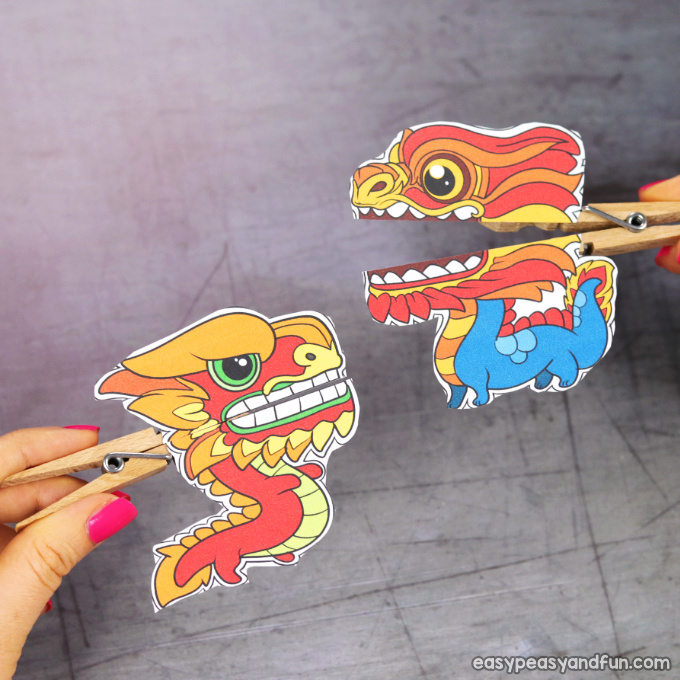 Your Chinese dragons are ready to play.